we drove to 07130 Saint-Peray, and had lunch at La Grappe d’Or. This is a small, unique restaurant that serves a delicious, excellently prepared lunch menu. The wine menu is attractive with a great selection of local wines. We had the menu du jour, with a white wine from the region. La Grappe d'Or: La grappe d'or ré-ouvre ses portes, avec une carte plus large, imaginée dans le souhait de retrouver le goût des saisons. Aux commandes de la cuisine se trouve notre chef Pierre Yves Jacques Sébastien, il vous propose une cuisine traditionnelle de produits frais. La carte des vins a été soigneusement élaborée par le maitre de maison, les équilibres sont justes avec les plats proposés. Les amateurs de Champagne pourront découvrir la maison Cattier en 1er cru Brut Antique et Rosé. Notre carte se renouvelle tous les 2 mois, en fonction du marché et du calendrier. Tous nos plats sont élaborés dans notre cuisine, n'hésitez pas lors de vos réservations à nous faire part de vos besoins d'aménagements de plats pour raisons diverses et variées. Les végétariens et végétaliens trouveront une entrée, un plat et un dessert à leur convenance. 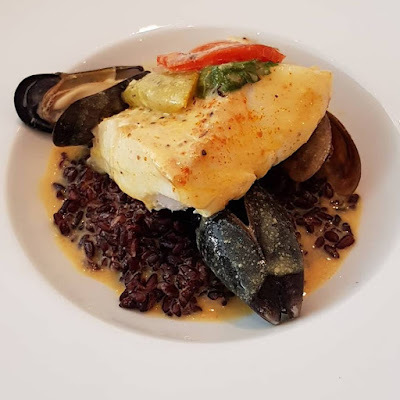 Tripadvisor: We were in the Rhone River area visiting friends-they had heard of this restaurant in the neighboring village so we stopped in(check the hours they serve). We were greeted by a gentleman who proceeded to explain the menu, took our drink orders and returned to serve them. He then took our meal orders and "disappeared." There were 2 other tables with customers and he would appear at times to check on them. A little later he returned with our orders and we discovered he was the chef as well!! It Kind of seemed like we had walked into his home for dinner :-). The atmosphere is very personal in this small restaurant, very unique with not many tables but very fresh, light and open. The Wine menu is small but diverse and the menu is limited to a few dishes that are prepared fresh with local produce. A very wonderful, comfortable experience. The food was excellently prepared and very appealingly presented. Abundant and very filling. We all decided on the same dish and I have attached photos...It tasted as great as it looks! Our friends who live in the area have been here another time and enjoyed the peaceful environment and meal. Kudos to the Chef! If by some chance you are in this region give this very lovely restaurant a try. We had the formule di midi with 3 courses. Thanks Chef Pierre Yves Jacques Sébastien for a fantastic lunch. Bye-bye. For the nineth time, the Falstaff Trophies Deutschland were awarded. 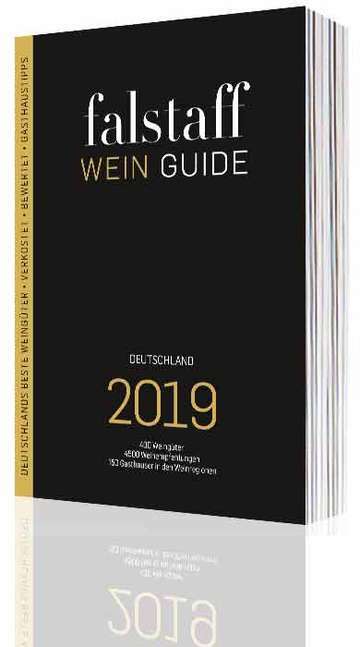 The wine/food/travel journal Falstaff has been around for a number of years, issued in Vienna, Austria, and reporting about wine, food and travel from an Austrian perspective, for Austria-based readers. 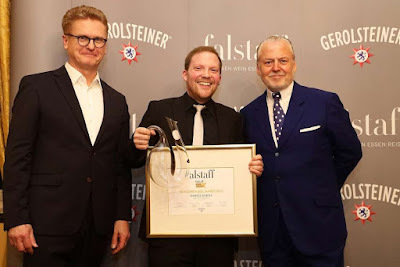 Seven years ago, Falstaff expanded into the German wine and food scene and started to issue a German version of Falstaff in addition to the well established Austrian version. As part of its expansion, Falstaff has created the annual Falstaff Deutschland Wine Trophies, to be awarded to German wine personalities. 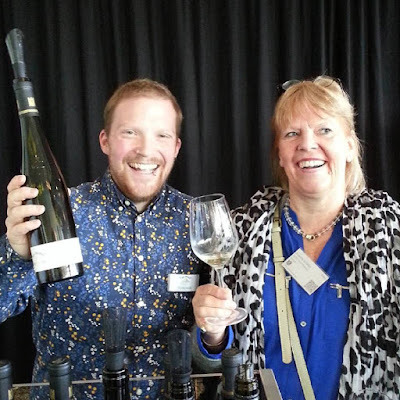 Moritz Haidle, Weingut Karl Haidle, Württemberg, is Falstaff Newcomer of the Year. Moritz Haidle, Weingut Karl Haidle, "is a dedicated organic farmer, and a passionate devotee of hip-hop culture. A talented graffiti artist, Moritz is no doubt a radical figure in the Swabian wine scene, uprooting the traditional image of the staid German winzer. His vibrant character and commitment to terroir translates in the pure, focused wines that are emerging from this deep, natural cellar." Falstaff/ CS Translation: From early on in his life Moritz Haidle had to work in the vineyard at home, he says, but at that time preferred to spray graffiti and dream of working as a designer. It was not until he completed an internship with Paul Fürst that he understood the "fascination of wine". After studying in Australia, California, Burgundy and Baden, she studied in Geisenheim. And today? Haidle is surprising people with his uncompromising wines. Schatzi-Wines: Founded in 1949 by retired, world-class Gymnast Karl Haidle and now onto its third generation, Weingut Haidle has long been a pioneer and leader in fine-wine production in Württemburg. Today, the young and energetic Moritz Haidle is in charge of the estate. He is a dedicated organic farmer, and a passionate devotee of hip-hop culture. A talented graffiti artist, Moritz is no doubt a radical figure in the Swabian wine scene, uprooting the traditional image of the staid German winzer. His vibrant character and commitment to terroir translates in the pure, focused wines that are emerging from this deep, natural cellar. Specializing in Riesling, Lemberger, and Spätburgunder, Moritz gives the unique slopes of Stetten a chance to speak with nuance and clarity. Though one of Germany’s thirteen anbaugebiete, Württemberg still remains one of the country’s slightly obscure viticultural areas; Moritz refers to it as the “outsider” region. Before WWII, wine grapes in the Rems Valley were almost always sold off to the local co-op and the majority of wine production was consumed by locals. It was only over the course of the last twenty years that wines from the region became distributed around Germany and ultimately exported to the rest of the world. Beginning in 1949, Karl Haidle founded his eponymous winery with a single hectare of vines and a vision to bottle his own wine. Sadly, Karl passed away at a young age leaving Mortiz’s father, Hans, to take the reins of the family business at only 23 years of age. It was under Hans’ patient, watchful eye that the winery we see today began to take shape. Hans expanded the holdings to a full 23 ha and dedicated himself to making wine of pinnacle quality, with a focus on Riesling—what is unique in a region more recognized for simple, juicy reds. He became a VdP member in the 90s. The viticultural focus at the estate is summed up quite simply by Mortiz, “we want to work with nature to get long lasting vines with deep roots and naturally low yields.” The fruit is picked by hand and vinified in old, neutral vats some of which are 70+ years old. “I swear by the old barrels of my Grandfather,” Moritz says. The winery is arranged to move the wines via gravity, the whites undergo extended lees contact, nothing is ever fined and they are bottled with just a touch of sulfur. We will see Moritz again at the 2019 Weinbörse in a few days. The 2019 Weinbörse, the annual spring trade fair of the VDP, the association of about 200 elite wine producers in Germany, takes place on Sunday and Monday, April 28 and 29, 2019, in the Rheingoldhalle of Mainz. Worldwide, the Weinbörse is the only trade fair that focuses exclusively on fine German wines. The Weinbörse offers an unique opportunity (trade only) to taste the new releases of Germany's elite winemakers. Château Lafon-Rochet features some of the finest vineyards in the world. It is situated in the small appellation Saint-Estèphe and is sandwiched between two prominent neighbors: Cos-d’Estournel on the other side of the street and Lafite-Rothschild, separated only by a small dirt track, and visible across the vineyard that belongs to Lafon-Rochet. Since the 16th century this Château makes excellent wines and had been in the hands of the Lafon family for almost 300 years. In 1895 the phylloxera disaster forced the family to sell Château Lafon-Rochet. A period of a rapid succession of several disinterested owners followed until Guy Tesseron (who also bought Château Pontet-Canet) acquired the Château in the 1960s. He and then his son Michel brought Lafon-Rochet back to its former glory. The new generation is now at the helm and Basile Tesseron is energetically pursuing quality control. Château Lafon-Rochet belongs to the 2 or 3 dozens of châteaux to which we have a closer relationship than to others. One of the first winemaker dinners that Annette organized in Washington DC was with Anaïs Maillet and the wines of Château Lafon-Rochet at BToo on 14th Street NW. I still have good memories of a winemaker dinner at the French Embassy in Washington DC a number of years ago, hosted by Château Lafon-Rochet owner Basile Tesseron. A couple of years ago, Michel Tesseron treated the ombiasy tour group to a very special dinner in the private quarters of Château Lafon-Rochet. 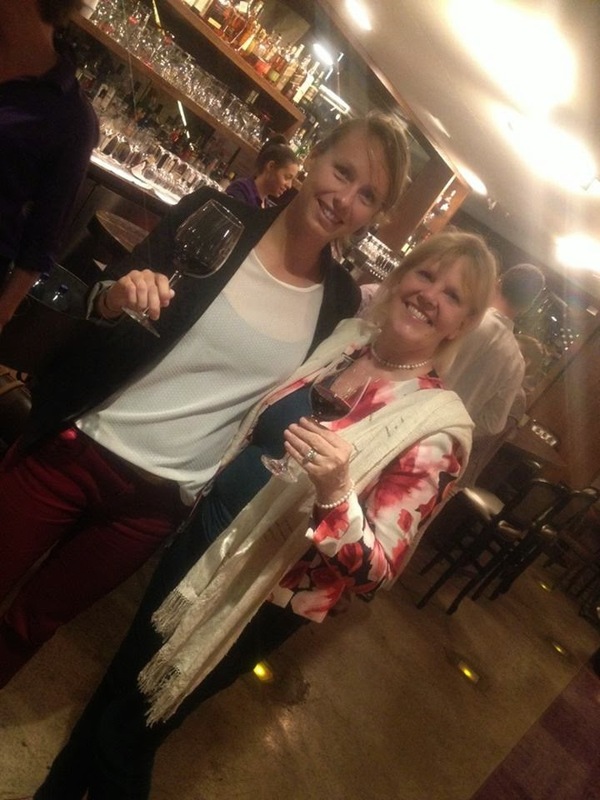 In 2017, Annette organized a winemaker for Château Lafon-Rochet at Restaurant 2941 in Northern Virginia. Last year, charming Vineyard Manager Anaïs Maillet, who has since left the estate, received us. Château Lafon-Rochet is a 4th Grand Cru en 1855 in the Saint-Estèphe appellation of the Medoc. It is one of the 5 classified properties in the appellation of Saint Estèphe. Its grounds are separated from those of Château Lafite to the north by the width of the road and from Cos d'Estournel by a dirt path. Basile Tesseron and Directeur Technique Lucas Leclercq are currently at the helm of Château Lafon-Rochet. Lafon-Rochet’s history dates back to the 17th century. The property was then known as the Domaine Rochet and belonged to Antoinette Guillemotes who renamed the estate Château Lafon-Rochet after her marriage with Etienne de Lafon..
Over the 150 years that followed, Etienne de Lafon’s heirs not only maintained the estate and coped with the various diseases and economic difficulties from which the vineyard suffered but also enabled Lafon-Rochet to enter the 1855 classification of the Grands crus du Médoc (the Great Growths of the Medoc). At the dawn of the 20th century financial difficulties resurfaced and so new owners took over the Château. Thus began a long period of instability until the Tesseron family took over the estate in 1960. When in 1960 Guy Tesseron, a master of old Cognac, took over the property, he had to start from scratch and rebuild the whole property. Thus began Chateau Lafon Rochet’s rebirth. First he concentrated on the renovation of the fermenting room and the wine storehouse before tackling the mansion itself. He decided to demolish the whole building and create a new family home for Lafon-Rochet. The plans were for an elegant Chartreuse, which was quite unusual at the time. It took almost ten years to restore the Château, the vineyard and infrastructures. This fresh start finally paid off in 1966. As the young Michel Tesseron recalls it was the first time that Lafon-Rochet was able to present a wine worthy of Quatrième Grand cru – fourth growth. The following year, 1967, was a great vintage paving the way for 1970, one of Lafon-Rochet’s most memorable vintages. In 1975 Guy Tesseron also took over the Château Pontet-Canet, then a few years later the Château Malescasse. Until 1999 the family jointly managed Château Pontet-Canet and Lafon-Rochet but lost the Château Malescasse, so dear to Michel Tesseron. As part of the re organization, Alfred and his brother Gerard Tesseron took over Pontet-Canet, while Michel and his sister Caroline Poniatowski took over Lafon-Rochet. Michel spontaneously turned towards the Château “jaune”, so-called since he repainted it sunshine yellow in 2000. Before joining the family business in 1987, Michel Tesseron worked in in Cognac, then in Bordeaux for Barton & Guestier, and for the négociants Chantecaille. 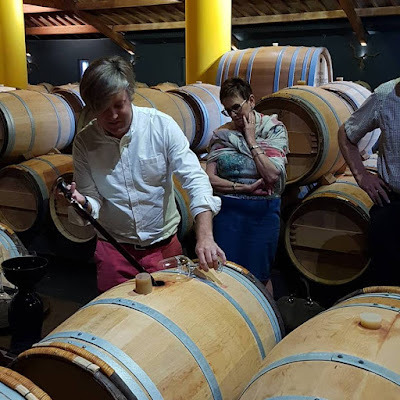 Michel Tesseron first decided to renovate and modernize all the technical equipment necessary for production, like the magnificent circular, wooden wine cellar. In so doing he preserved the family’s core values of sharing, respecting the vines and vineyard and thus fulfilled his father’s dream. In 2007, Basile Tesseron joined his father in order to continue the work started by his grandfather, who had already initiated the young Basile into the subtleties of the aromas and flavours of cognac. With passion, humour and ambition, Basile pursued the work of his predecessors enabling Lafon-Rochet to live on through the centuries. He began by redesigning the vat room of the property, reviving the quest for excellence and quality in keeping with the exceptional terroir and the human and family values that have punctuated 5 centuries of adventure. Basile Tesseron took over with the 2007 vintage and he now has full control. Lafon-Rochet's vineyards covers 45 hectares and are planted with Cabernet Sauvignon 54%, Merlot 40%, Cabernet Franc 4%, Petit Verdot 2%. As far as winemaking is concerned, the wine cellar has been completely renovated. Importantly, Basile and Michel Tesseron decided to go the route of stainless steel tanks and concrete vats. To match the 40 different vineyard parcels, the estate now has 18 stainless steel tanks and 18 concrete vats in different sizes and shapes for fermentation. The wine is aged for 9 months in new oak and for another 9 month in used oak. The grand vin is Château Lafon-Rochet (11000 cases). The second wine is Pélerins de Lafon-Rochet (also 11000 cases). We tasted 4 wines from bottle, all grand vin. A well-made sleeper of the vintage, Lafon Rochet's 2011 exhibits a dense ruby/plum color in addition to sweet cassis, earth and spice notes, medium body, excellent depth and light to moderate tannin. It should drink nicely for a decade or more. Thank you so much Basile and bye-bye.